Thanks to Mrs. Hannelore Fisher. 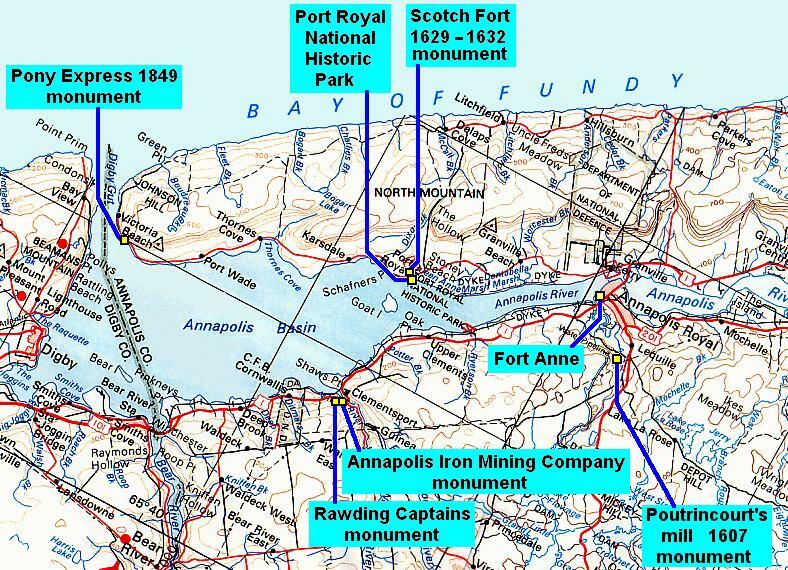 Scotch Fort 1629-1632, Port Royal, Annapolis County, Nova Scotia. layout of the roads in 2004 has not changed much from that shown here. was halted Not all of the Scottish colonists chose to return to Scotland. presence had its genesis on the banks of the Annapolis River. in fact, be the actual ruler of France for more than 18 years (1624-1642). seeds, tool, arms – everything needed to establish and maintain a community.